Despite the holidays, I'm currently researching the third and fourth books in the Friend Grief series. One is on the experience of grieving the death of a friend in community, the other in the workplace. Part of that research is interviewing men and women who have gone through this. They must have experienced the death of a friend they worked with (except senior citizens – for that group it’s a friend they lived with in a retirement community). They need not be currently working at that job. They must be willing to discuss that experience. If you fit the criteria, or know someone who does, I’d love to hear from you! 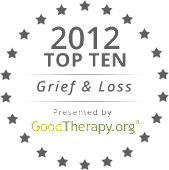 Please email me at victorianoe@friendgrief.com. If you’re in Chicago, St. Louis, New York, or Los Angeles, I’ll be doing face-to-face interviews as much as possible.